I missed a week, so here’s a two for one! 1. 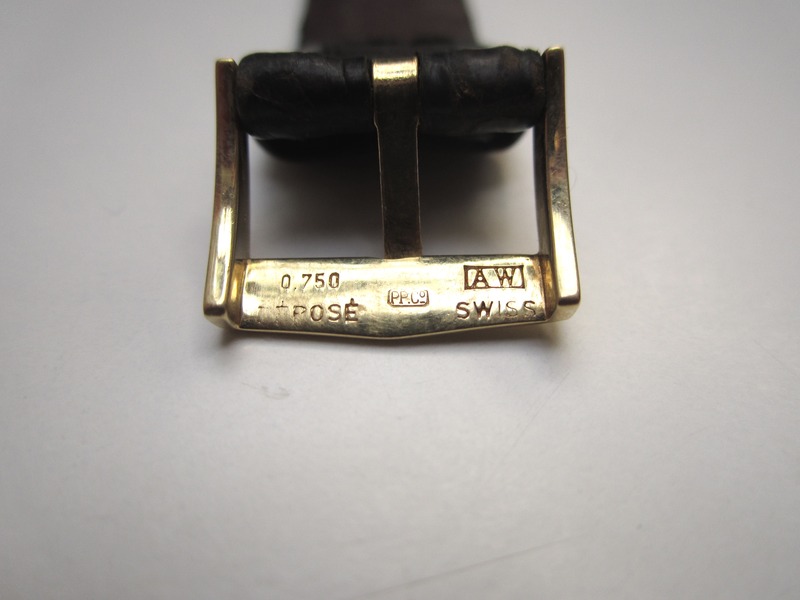 18k gold Patek Philippe watch buckle: On eBay for 650$. A big sale! Someone was willing to spend good money to ensure that all the parts on their expensive watch were genuine. Found early March in Hampstead. 2. 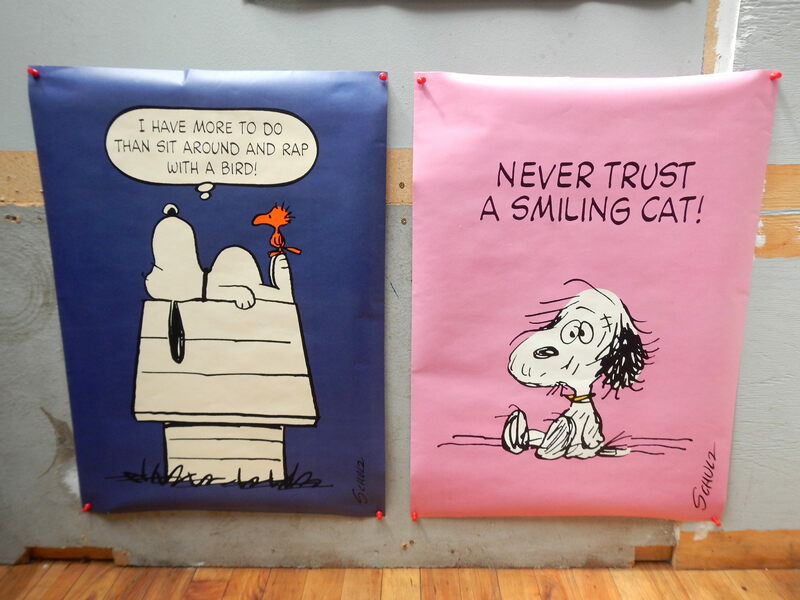 Vintage 1950s Snoopy poster: On eBay for 130$. This (the one on the left) is the second of two I found last July in Mount Royal. This one’s going to Hong Kong. 3. 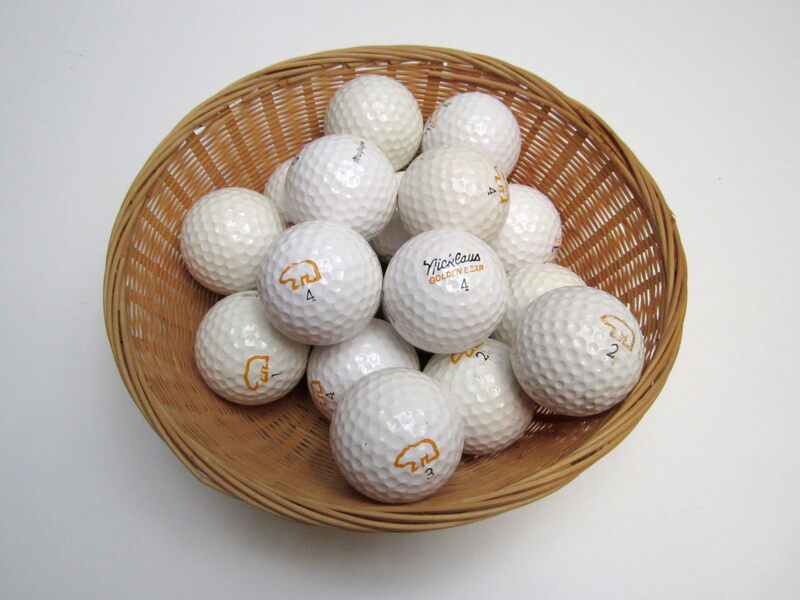 18 Jack Nicklaus “Golden Bear” golf balls: On eBay for 30$. I’m happy to have made a bit of money from these. Found mid December in Mount Royal. 4. Tokyo Bay watch: On eBay for 35$. I found this in Mount Royal around two years ago. It sat in my friend’s shed (along with a bunch of other stuff) for a long time before I finally listed it. Glad to see it go! 5. 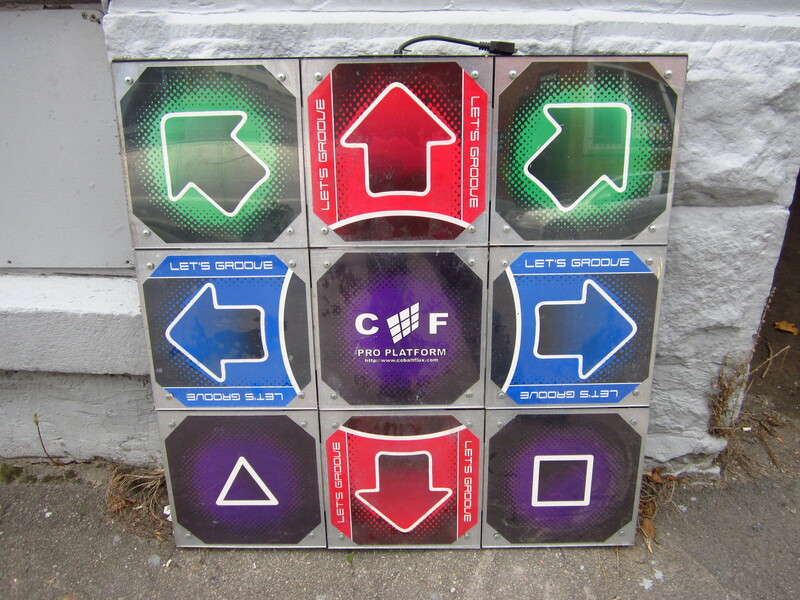 Two Cobalt Flux DDR pads: To a reader for 60$. A couple people were interested in these, but I ended up selling them to the person who could pick them up. They would have been a hassle to ship. Found nearly a month ago in Mount Royal. Total: 905$, 8536$ since the new year began. All my sales this week came from largely upper class neighborhoods. May 18th (the date I started keeping better track of my profits last year) has finally past. I’m going to write a post soon detailing my fiscal year. I’ll also make some pie charts and other such things to spruce things up a bit. I like stats, so at the very least I’ll find it fun! WOO WEE! Not a bad return on your investment!!! (hee hee) Thank you, as always, for sharing with us! I really enjoy all your posts!! I love that you knew the watch buckle was valuable to begin with. It leaves me to wonder how it happened that it was discarded in the first place. There’s probably a wonderful story attached to it. At first I actually just thought it’d be a nice chunk of scrap metal. I figured I’d do some research on it before scrapping it though and that’s when I found out it was worth a fair bit more. I had never heard of Patek Philippe before, but apparently it’s an expensive brand. Just goes to show that it’s good to do research on whatever you find. Love your blog! I am always astonished at what you find….in the garbage!!!!! Unbelievable. Curious what kind of camera you use also? Your pictures always look so nice. It’s a Canon A2200. It’s a decent point and shoot camera but nothing too fancy. I bought it for 100$ on eBay. However, I also spend time editing most of the images, usually bumping up the brightness / contrast and sometimes the color saturation. It helps produce more realistic looking images that pop out of the screen. For that I use paint.net, a good program you can get for free online. So do you take a pic of every pile you approach? They all seem undisturbed. If so, then do you delete the pics of piles with no goodies as you move on? I’m just curious of your process. I don’t take a photo of each pile, just the ones that look most interesting from the outside or from the first things I see in the bag. I try to disturb the garbage as little as possible before getting the photo of it in its “natural” state. I have a lot of extra photos of piles that don’t make it to the blog. I have a folder for them on my hard drive, in case I ever want them for one reason or another.